Approximately 2.7 million Americans have the potentially blinding eye disease glaucoma, but only half are aware of it. Meanwhile, glaucoma incidence is on the rise. Researchers predict that glaucoma will affect as many as 6.3 million Americas by 2050. The California Academy of Eye Physicians and Surgeons (CAEPS) and the American Academy of Ophthalmology (AAO) are sharing a list of disease risk factors. Glaucoma is a group of eye diseases that damage the optic nerve, which links the eyes to the brain. It is most commonly associated with elevated pressure inside the eye, known as intraocular pressure, or IOP. Without treatment, glaucoma can cause irreversible vision loss in a person’s side vision, then in his or her central vision. With early diagnosis and treatment, sight can be preserved. However, glaucoma has no noticeable symptoms in its early stages, so it is imperative that people know the risk factors. Family History: Individuals with a parent or sibling with glaucoma have a nine times higher risk of developing the disease, according to one study. Older Age: As people age, their risk for glaucoma increases. Because this is the case for several eye diseases, both Academies recommend that adults start getting regular comprehensive eye exams at age 40. This is the age when early signs of eye disease and changes in vision may first occur, even if you have seemingly perfect vision. So, it is important to get a comprehensive eye exam from an ophthalmologist, a physician specializing in medical and surgical eye care. Nearsightedness: People who are nearsighted are more likely to have glaucoma. One study even found that the more severe the nearsightedness, the higher the risk of glaucoma. Type 2 Diabetes: Having type 2 diabetes increases the risk of glaucoma. The longer a person has lived with diabetes, the greater their risk for glaucoma becomes. Additionally, when the cornea – the clear, round dome on the front of the eye that covers the iris and pupil – is abnormally thin, IOP readings may be falsely low. This puts patients at increased risk for undiagnosed glaucoma. This is common among those who have had refractive surgery, such as LASIK or photorefractive keratectomy. Another risk factor associated with glaucoma is a history of eye trauma. Glaucoma treatment ranges from medicated eye drops to a variety of surgeries that can help reduce high IOP. This may involve procedures that make small changes in the eye to help fluid drain more easily. In some cases, small devices known as shunts or stents are inserted in the eye to increase the flow of the eye’s fluid out of the eye. People age 65 or older and concerned about their eye disease risk may be eligible for a medical eye exam at no out-of-pocket cost through EyeCare America™, a program of the Foundation of the AAO. In addition, those who are at an increased risk for glaucoma may also qualify for a glaucoma exam through EyeCare America. This public service program matches volunteer ophthalmologists with eligible patients in need across the United States. To see if you, your friends or family members are eligible, visit www.eyecareamerica.org. 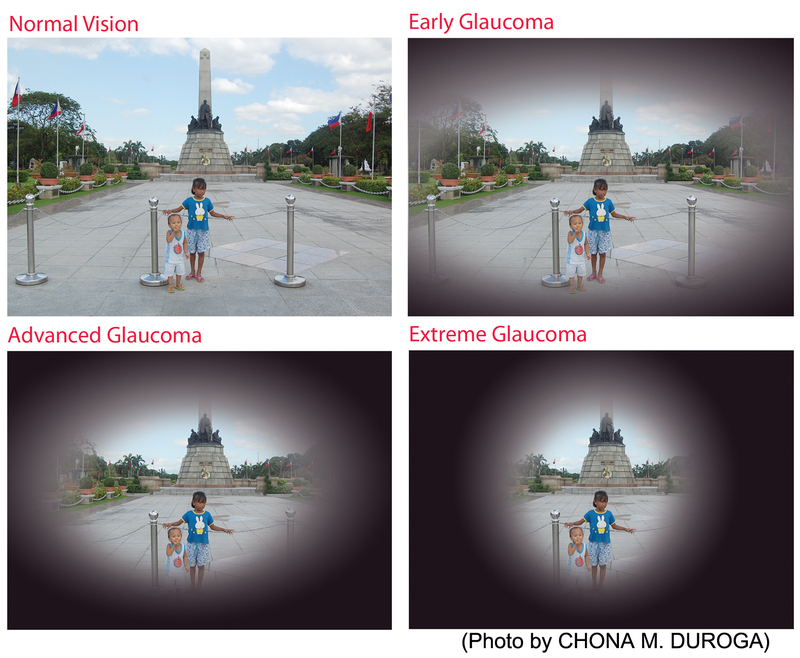 To learn more about glaucoma, its risk factors and its treatment, visit www.geteyesmart.org. One in four Americans age 65 or older has diabetes, putting them at increased risk for vision loss and blindness. Fortunately, diabetes-related vision loss is largely preventable with regular care. Yet studies have found a majority of Medicare beneficiaries with diabetes do not get the necessary eye exams despite the fact that the exams could be covered under their existing insurance. The California Academy of Eye Physicians and Surgeons (CAEPS) and the American Academy of Ophthalmology (AAO) are reminding older Americans with diabetes that they should obtain these critical eye exams each year. Both type 1 and type 2 diabetes can affect the small blood vessels in the eyes, causing them to leak and grow irregularly. This leads to vision loss if left untreated. 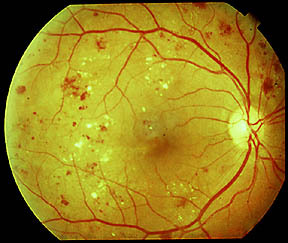 This condition is known as diabetic retinopathy and affects about 30 percent of people living with diabetes. It can also lead to other blinding ocular complications, such as diabetic macular edema. In this disease, the macula—the part of the eye responsible for detailed vision—swells, damaging vision and leading to blindness. Risk for these complications increases with age and duration of diabetes. To prevent diabetes-related vision loss, both Academies recommend people with diabetes get a dilated eye exam each year. Getting these exams can help prevent 95 percent of this type of vision loss. The exams are performed by ophthalmologists—physicians that specialize in medical and surgical eye care—and optometrists. For those with Medicare, because plans vary, people with diabetes should talk with their primary care doctor to determine the best process for setting up an eye exam. Those with Medicare Advantage may have different benefits from those with only Medicare Part B, which is traditional Medicare. Those with commercial insurance would need to check their specific policy. Comprehensive eye exams include putting dilating drops into the eyes to help the pupil expand. This allows a better view of the retina—the light-sensitive tissue lining the back of the eye—and makes it easier to see early signs of diabetic retinopathy. Cameras may also be used to record any disease progression. These special cameras include a microscope to get close-up images of the retina. These eye exams allow early detection, monitoring and, if needed, treatment of diabetic eye disease. This can prevent unnecessary vision loss, enabling people with diabetes to continue to live full and productive lives. Such exams also allow checking for conditions such as glaucoma and cataracts, for which people with diabetes are at an increased risk. For those with Medicare, the program covers 80 percent of the cost of eye exams for people with diabetes and the remaining 20 percent is typically paid for by the patient. If this cost is a concern, EyeCare America may be able to help. This is a public service program of the Foundation of the American Academy of Ophthalmology. It can help older Americans get a comprehensive eye exam and up to one year of care at no out-of-pocket cost. Learn more or see if you or your loved one qualifies at www.eyecareamerica.org.